This is a guest post by my colleague Paul Alvarez. 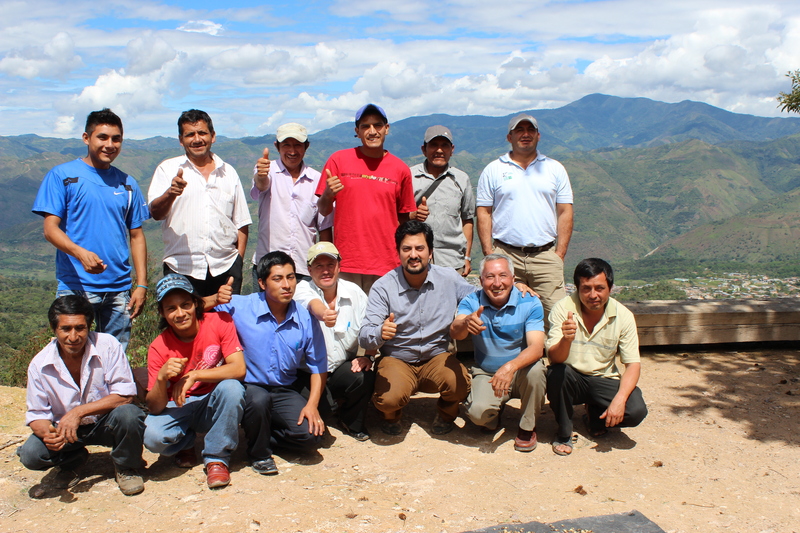 Paul has been supporting independent smallholder farmers in Peru to achieve Fair Trade certification. He wrote this post after his latest visit to Peru. “Yes, other certifications are good, but we also want Fair Trade. Yes, we have other certifications but we like Fair Trade because as small farmers we are allowed to make our own choices and we can be more effective at doing more for our communities with the Fair Trade premium” explains Manuel Arias, an independent smallholder coffee farmer from San Ignacio, Peru, during a farmers’ meeting. “Fair Trade creates a space for dialogue; it gives us useful tools to improve ourselves while we learn about the importance of planning and working together. Today’s meeting was the first time we got together with other fellow farmers and we learned a lot from each other. Of course, we still have the same challenges on our farms but I am now convinced that together we will do much better,” Manuel added. 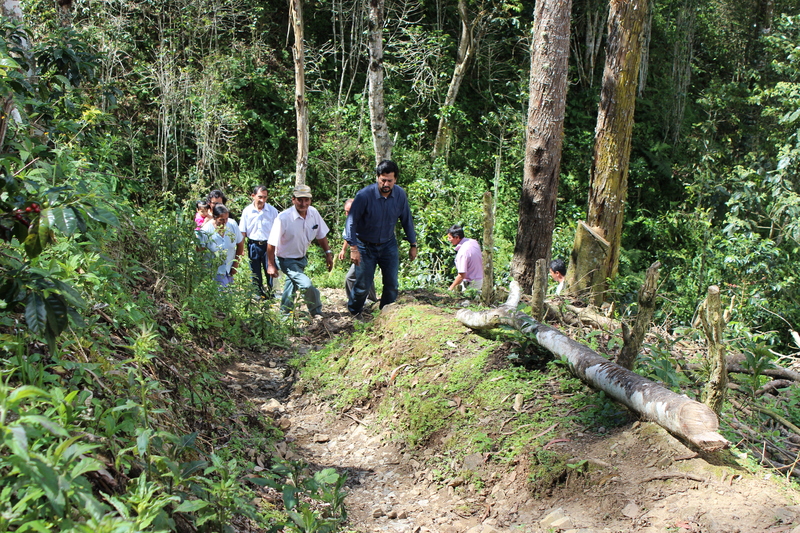 Farmers traveled long distances to participate in the meeting celebrated in San Ignacio. They were all eager to discuss and learn about Fair Trade. Representatives from all seven producing areas attended the meeting: two producers from Calabozo, one from San Jose de Lourdes, two from Calabazo, one from La Union, four from San Ignacio, two from El Milagro and one from El Señor Cautivo. 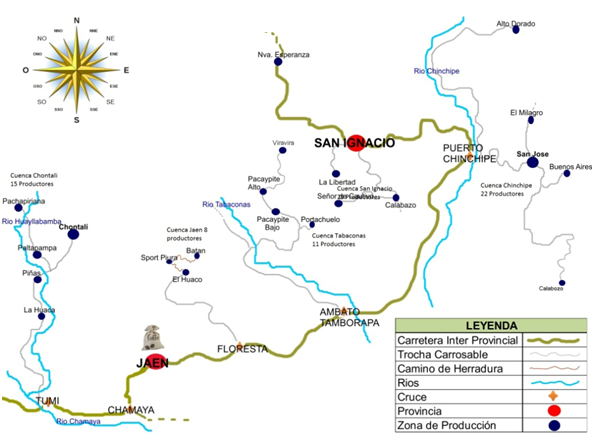 The areas of Calabozo and El Milagro are the most remote and producers traveled for almost 24 hours to attend the meeting in San Ignacio. Participants reported that this meeting was important and very productive. “We learned that although our farms are not close to each other, the challenges we face are the same. And that we can use our Fair Trade Committee to find collective solutions if we act as a real team,” said Jose Ofoniel Abad. Each blue dot on the map indicates a coffee production area. Each production area has several Fair Trade- registered smallholder coffee farmers. During the past 6 years I have traveled to Latin America on multiple occasions to visit farmers and workers who are already part of the Fair Trade Program, or are interested in joining it. It still amazes me how much they all have in common. The opportunities and challenges that farmers face are the same over and over, especially regarding sustainable production. Lack of Roads – Moving the harvested coffee from the farmers’ plots to the main road and then to the storage facility is probably one of the biggest challenges. Lack of road infrastructure directly affects the quality of the coffee and raises the farmers’ production costs. Depending on the location of the farm, farmers must use horses, mules, boats and/or trucks to reach the consolidation center in the closest town to be able to sell their coffee! 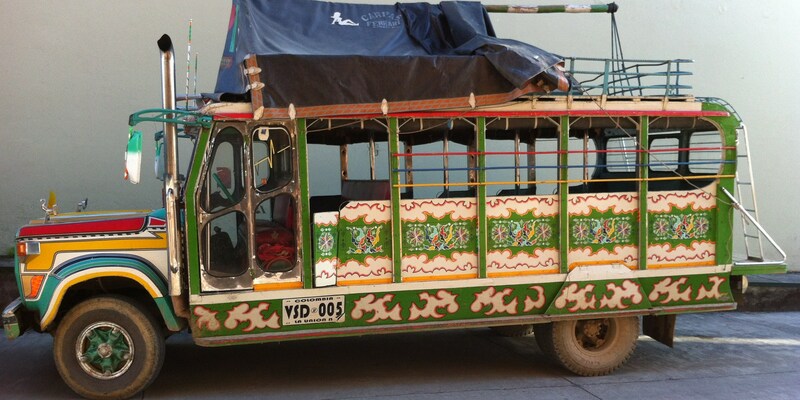 Truck drivers charge between 7 and 10 soles (US$2.50 – 3.50) per 60 kg sack and 10 soles per person. Sometimes even having the money to pay for the truck ride is not enough, as often the driver may decide not to carry the coffee. This depends on whether there is room in the truck, or if there are enough people and coffee to make a trip to the town worthwhile for him. Farmers want to work together to better coordinate transportation for their coffee and to ensure that they receive the best price when they arrive at the consolidation center in town. Access to Fertilizers – The sustainable use of fertilizers is important for good soil management. 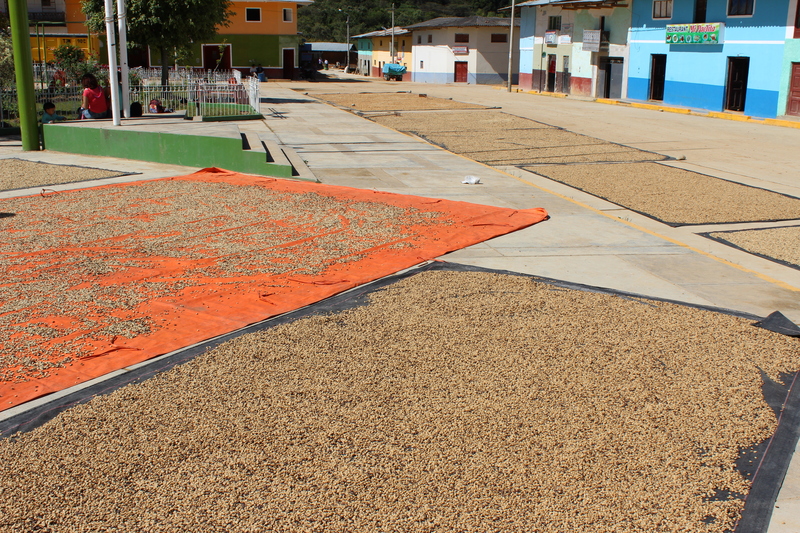 Fertilizers improve productivity and help guarantee a standard quality of the coffee. Unfortunately, the high cost of fertilizers and the lack of government support programs make it very difficult for farmers to have access to fertilizers in this region. “The costs are very high and here there is no government program that subsidizes the cost of fertilizer, unlike in other countries,” says Segundo Araunda Barrezueta, representative of one of the groups. “As producers, we want to earn more and to generate more jobs in our community. Our aim is to produce more and we need the Fair Trade Premium to invest in our farms and increase production,” adds Roberto Araujo Salinas, representative from another community. Roberto is one of the youngest farmers in the group and, at only 29 years of age, he manages his own farm and hopes to grow with Fair Trade. Farmers have identified opportunities to buy fertilizer in bulk, which will allow them to reduce costs. They are exploring alternatives to transport it into the farms, as well. Access to Health Programs – The government does not grant access to public health programs to those people with rural bank loans or assets. In the region there are some public health programs, but unfortunately smallholder farmers do not have access to them since they are categorized as beneficiaries of bank loans or debtors of the rural credit union. However, existing public health programs are not ideal. It takes days to get an appointment with a specialist doctor and it takes days to reach the nearest health center. Farmers want to conduct surveys to assess their needs and hire doctors who will visit the community. Obtaining the Title of the Property – The Agrarian reform brought many benefits for smallholder farmers, giving them access to land to grow crops. However, only a few farmers have been able to get the titles of their land, and the vast majority of them only have a land possession license or a certificate of donation. A farmer may apply for a title, but the process is very slow and very expensive. A title can cost over US$ 1,500, plus the costs of elaborating a management plan and fees for inspectors and civil engineers. What is the answer to these problems? As expressed by the farmers themselves: “To seek collective solutions to common problems.” Farmers believe that there are viable solutions out there and that these can be achieved with Fair Trade, working with the Fair Trade farmers Committee and using the funds of the Fair Trade Premium. Farmers in these communities in Peru are highly motivated, and they want to work together and make decisions as a team. They firmly believe that this is the only way that will enable them to resolve the problems that they have identified. They already have some ideas to establish projects and expect to achieve Fair Trade Certification very soon. They are also looking forward to closing their first sales of Fair Trade coffee! This entry was posted in Empowerment, Small farmers and tagged coffee, fair trade committee, Peru, smallholders. Bookmark the permalink. Thanks for sharing this post. We have many of the same challenges and it is good to hear how our fellow small holder farmers around the world are working together to find solutions. Congratulations and well done. We need more cooperation and commitment to ideas to make the reality of our situation change in North Sumatra. I am still hopeful. Thanks for your comment, Lisa. It is always to hear from you and the great work you are all doing in North Sumatra. I agree, we need more cooperation and commitment to these ideas and continue learning from each others experiences in different countries.